Perfect for all of your largest celebrations. 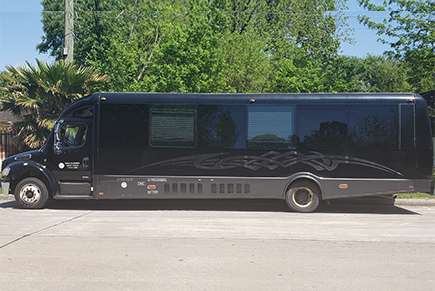 This black party bus is ideal for the larger groups out there. It features an awesome red and black custom leather interior that will make anyone feel like a rock star! 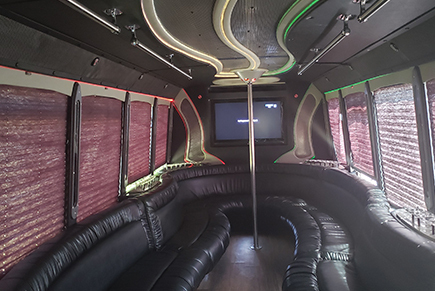 You'll turn heads as you step out of this big bus with custom lighting and music blasting from the concert quality sound system in the background. You'll be able to keep the party going long after the bars close as you ride around Houston, enjoying the company of your friends. To learn more, call Houston Party Bus Service today!